Too often the thought of automation has been relegated to the manufacturing plant floor or materials handling in a distribution center. Yet as small businesses represent the largest segment of private lending (more than 90% of the funds by third party lenders), the technology driving the most significant transformation of audits over the next three years is unquestionably Optical Character Recognition (OCR). The new form of automation, artificial intelligence and big data is fast-growing and significant. There are now many viable options on the OCR market, including: PerfectAudit by Ocrolus, SodaPDF, Adobe Acrobat, ABBYY FineReader, and Readiris; pros and cons to each technology, yet only PerfectAudit is the only OCR application custom built for identifying aberrancies and trends during financial reviews, yet flexible enough to be utilized by anyone reviewing bank and credit card statements. Many industries can add tremendous efficiency by translating paper documents to intelligent data. Use-cases include financial auditing, litigation disputes, Medicaid eligibility reviews, loan applications, and criminal investigations. Instead of combing through copious volumes of paper manually, businesses can now scan the documents into OCR software with remarkable accuracy; data is captured into a searchable and editable data base. Both allow end users to quickly scan hundreds or thousands of documents with over 99% accuracy into an editable and intelligent database. The value proposition of the OCR technology is well-suited across several industries involving income verification and bank statement review. According to Victoria Meakin, President of Ocrolus, PerfectAudit is currently driving the strongest interests from a wide variety of users. "In general, any application requiring income verification will find PerfectAudit helpful in identifying monthly, annual income, and other sources of income," noted Meakin. "Additionally asset verification such as car payments, mortgage payments, and other recurring expenses are frequently spotted and gathered with the OCR technology," added Meakin. The lowest hanging fruit for these technologies are loan processing situations requiring income verification, loan eligibility analysis, asset verification, duplicate applicant identification, duplicate or fraudulent loan detection. Forensic Accountants are also using PerfectAudit to identify potential accounting fraud, bank statement fraud, mortgage application fraud, and more. Buried in paper audits is not merely hyperbole, yet without a high degree of confidence in the accuracy of OCR data some will be reluctant to move forward. Meakin understood this challenge and shared that PerfectAudit designed a system superior to traditional OCR software because it ensures over 99% accuracy. Documents are scanned and data is extracted with OCR, validated via a secure crowd-sourcing method and then re-validated via algorithmic reconciliation. PerfectAudit OCR technology analyzes only bank and credit card statements for a reason. These statements contain beginning and ending balances, which PerfectAudit confirms utilizing mathematical algorithms. If the balance of an account is $1,000 and a withdrawal of $200 is made, the resulting balance should be $800. If the numbers sync, the data has been analyzed correctly. If the numbers do not sync, the values are sent back through the data validation component. This procedure enables the technology solution to verify transactional data with statistical certainty. In addition to reconciliation, PerfectAudit also employs algorithmic logic to help the user with document organization. If a user scans in the same page twice, the tool is smart enough to determine that true duplicate transactions exist. The value proposition of best-practice auditing technology solutions must provide flexible analytics. PerfectAudit possesses the capability to easily filter and search financial transactions by dollar amount range, date range, description, and bank account number, or any combination thereof. In addition, certain types of transactions can be tagged, such as transfers, deposits, wires, ATM withdrawals, and social security deposits. The query features of PerfectAudit quickly allow an auditor to spot suspicious activity, such as attempts to hide income by writing checks to a relative every month, or transferring money to a hidden bank account. If an auditor found one check for $500 to written a relative, other recurring checks or transactions with the same amount, it can be searched to determine if there is a trend of writing checks to conceal income. PerfectAudit software has automatic "missing statement" recognition identifying a missing monthly bank or credit card statement; a red flag is posted on the user interface. A missing statement could mean that the applicant is purposely hiding income, or it could just be an oversight in the scanning process. For very high-volume clients, PerfectAudit offers an API (Application Program Interface) to automate file uploads and data output, circumventing the uploading of bank statements to the Ocrolus web interface. This further streamlines the process of extracting large volumes of data and creating automatic analytics, without having to use the Ocrolus interface online. Lenders who process 25,000+ pages per month may find this option very useful in significantly increasing automation and efficiency of bank statement review. The introduction of human error is too prevalent in processing through hundreds of thousands of documents. Beyond the cost-savings using this technology, about one-third of human audit expenses, the accuracy of 99% cannot be matched by human rigor. 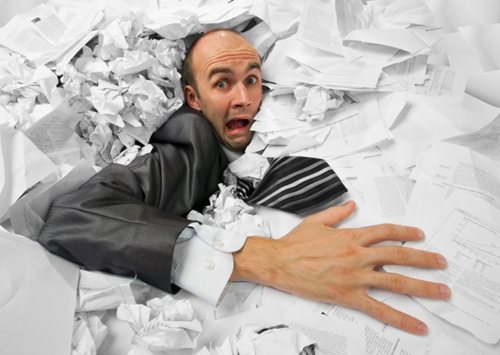 The fatigue in volume processing is uncontested, and importantly, by streamlining bank and credit card statement auditing experience, auditors focus more on anomalies, fraud detection, and true analytics rather than shuffling through mountains of paper.